Soft construction helps kids be fearless! Much lighter than our competitors. Best-selling set of six 6" dodgeballs. Our best-selling Gator Skin® Dodgeballs in an exciting 6-color set! Bright 6"-diameter dodgeballs feature a soft, 25kg-per-meter cube foam density. Our kid-friendly balls are dramatically lighter than other playground balls and virtually eliminate the sting associated with getting hit by the ball. 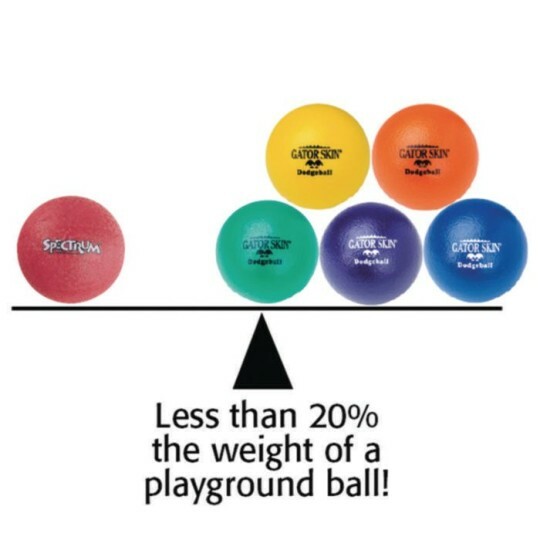 They weigh less than 20% of a traditional 8-1/2" rubber playground ball often used to play dodgeball. 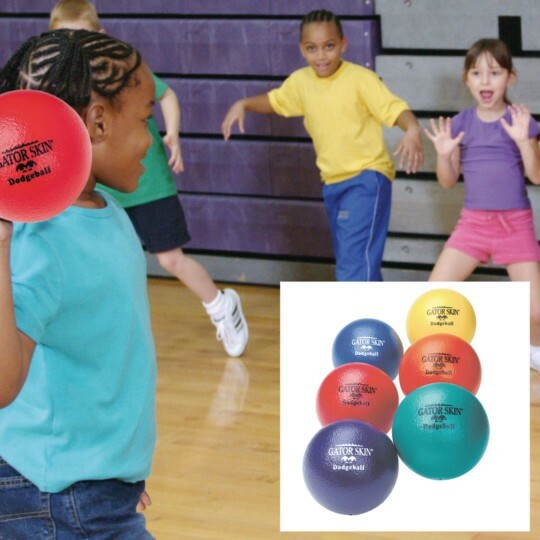 An ideal dodgeball for kids ages 4 to 8. Certified Latex Free. Non-sting coating is a proprietary polyurethane. 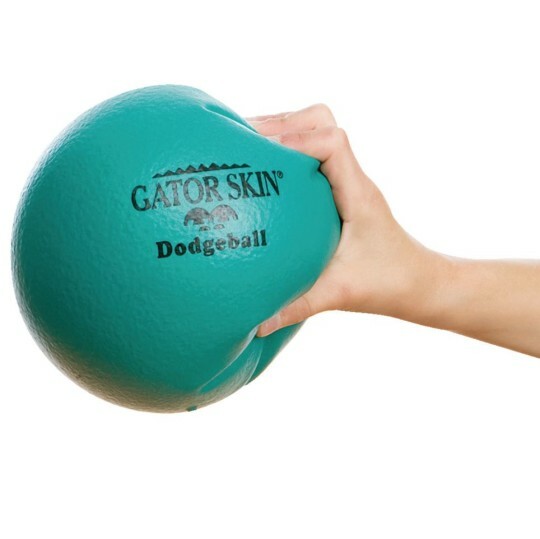 We're so sure that our Gator Skin® balls are the highest-quality coated foam dodgeballs on the market, we back them up with a 4-year guarantee! The tactile, non-sting coating makes them easy to grip, and the coating is so durable, they're virtually tear-proof! 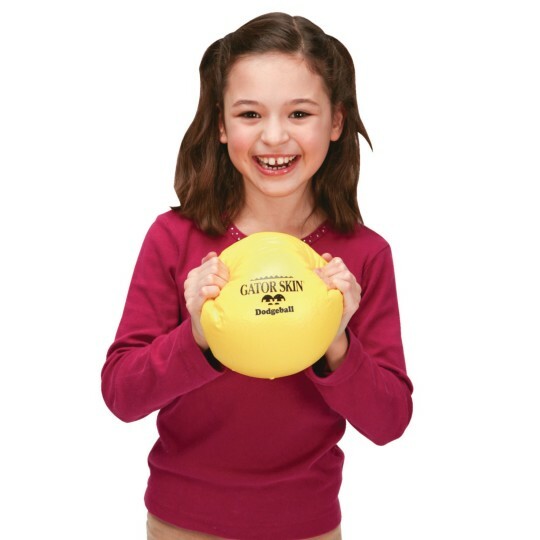 No more red marks from the stinging hit of a vinyl- coated or rubber ball, so everyone can play at ease and gain confidence. That means more fun during more activities. 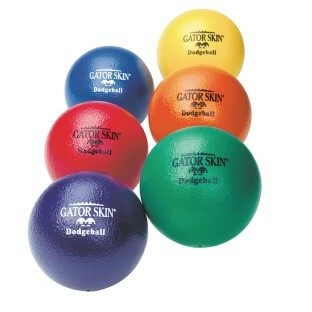 Our premium Gator Skin® balls are simply your BEST choice. NOTE: This warrantee does not apply to commercial use (for example, trampoline parks). I like this product a lot. Love this for our group games of prek4s to 6th grade. Small enough for smaller kids and for bigger kids they don't hurt when they tend to get rough. Our after-school kiddos rate these as must-haves or our time isn't being used properly! We have purchased this product year after year and just loooove it!! they are soft for the small kids at the camp yet the perfect grip and size for the bigger ones to play different games.